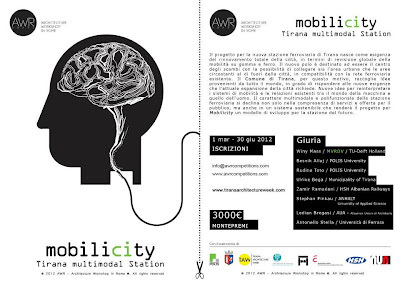 Among other initiatives, the Municipality of Tirana collects ideas for a new railway station. The international competition will have as the main goal the re-appropriation of the city of Tirana in terms of mobility and transport on iron. In collaboration with the Tirana Municipality, the competition event in Tirana will gather ideas from students and young architects from around the world, in response to the need for a complete renovation of the city. Tirana multimodal station will be the title of the international competition. Even in this case, the head of the jury will be an architect of international renown from the Netherlands. 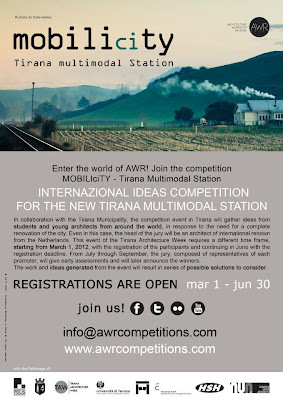 This event of the Tirana Architecture Week requires a different time frame, starting from March 1, 2012, with the registration of the participants and continuing in June with the registration deadline. From July through September, the jury, composed of representatives of each promoter, will give early assessments and will later announce the winners. The work and ideas generated from the event will result in series of possible solutions to consider. 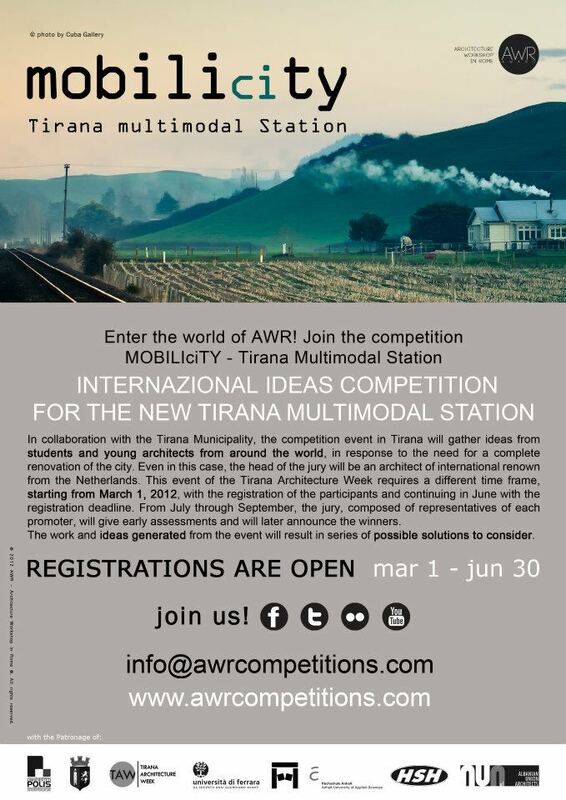 The strong international impact and success of this competition will be guaranteed not only by a jury of architects and specialists of international importance but also by the fact that this is the First ever Competition of Ideas on an Intermodal Station organized in Tirana. REGISTRATIONS ARE OPEN THROUGH JUNE 30!! !